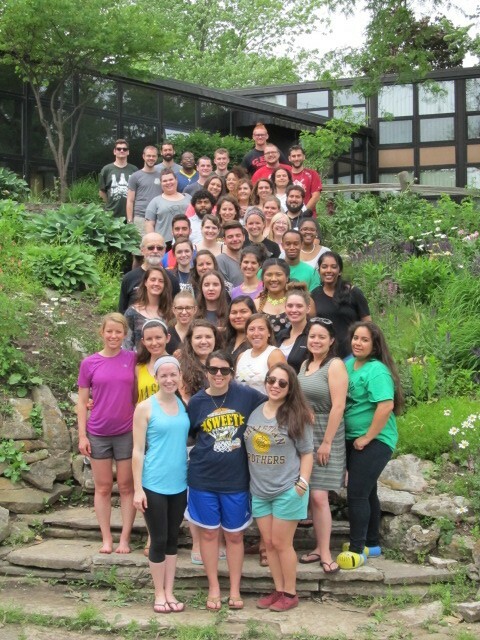 The Lasallian Volunteers (LVs) recently came together for their annual Debriefing Retreat at La Salle Manor from May 26-29, 2016. 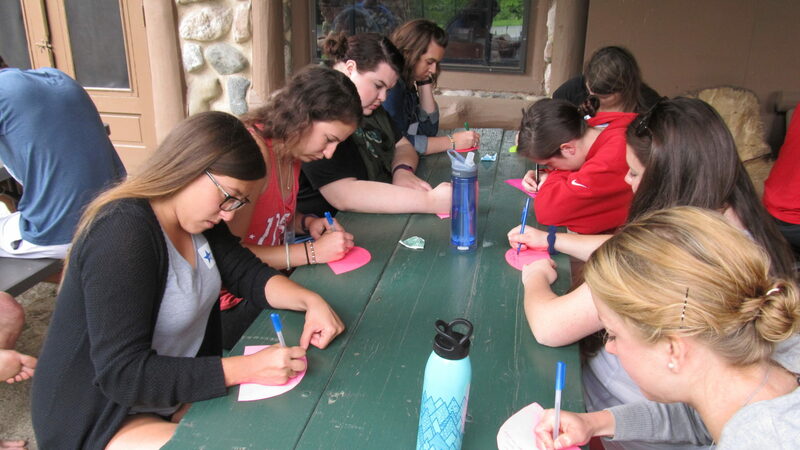 For more than 10 years, LVs have gathered at the secluded retreat center in Plano, Illinois, to reflect on their year of service and look ahead toward their futures. 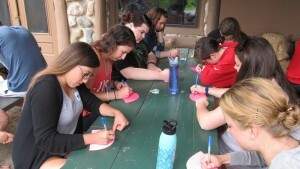 Forty-five volunteers gathered to discern this year’s theme: “Your LV Adventure.” The theme was inspired by “A Gospel Adventure,” the Lasallian theme for the 2015-2016 liturgical year. Scott and Alina Baietti, both LV alums who served from 2008-2010, facilitated the retreat. Other alums, as well as several Christian Brothers, spent the weekend with the volunteers participating in both group and individual activities such as journaling, skits, prayer and socials. Volunteers shared struggles, successes and affirmations during these sessions. This year also marked a special occasion that took place on the final night of the retreat when the LVs celebrated Brother Dylan Perry, who has served as associate director of the Lasallian Volunteers for the past three years and will step down to continue his journey as a Christian Brother in Tulsa, Oklahoma. On the final day of the retreat, the 2015-2016 cohort came together to commission new LV alums and recognize those who will serve a second year in the program.